The Greens’ Alex Bhathal has lost a very close contest to Labor’s Ged Kearney in the Batman by-election. Kearney won 54.6 per cent to Bhathal’s 45.4 per cent after preferences, a 3.6 per cent swing to the ALP. The vote holds important lessons for The Greens. The Greens challenged Labor from the left on refugees, but The Greens’ left credentials weren’t so clear more widely. Working class booths north of Bell St again favoured Labor, and booths south of Bell St, where greater gentrification has taken place, favoured Bhathal. Unions such as the nurses and the Rail Tram and Bus Union mobilised to campaign for Kearney. The Greens don’t have the same roots in the working class as the ALP. A focus on issues like the Adani coal mine, without a simultaneous focus on more immediate questions like power prices and jobs, won’t help win them. 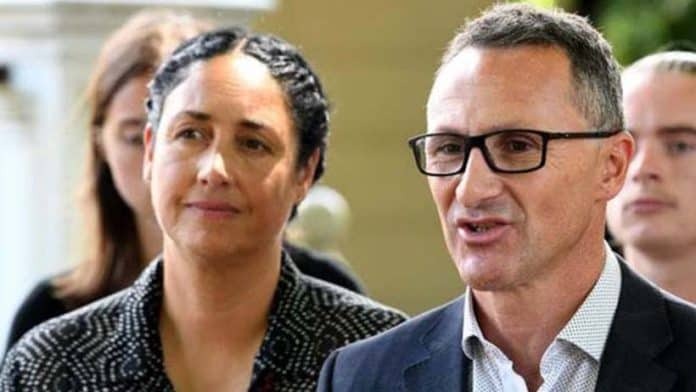 Worse still was Greens leader Richard Di Natale’s last minute appeal to conservative voters over Labor’s plan to end a tax break for about one million shareholders and 200,000 self-managed superannuation funds. Di Natale said, “Those people who might be inclined to vote for one of the conservative parties here [or] might be inclined to stay at home, well here’s your chance to say what you think about Bill Shorten’s attack on so many people in this community”. Like Di Natale’s flirtation with the Liberals over Gonski 2.0, this is the kind of electoral opportunism that led to the demise of the Democrats. The Greens did campaign on inequality but their pledges were modest. They missed an opportunity to use the unions “Change the Rules” campaign to prominently talk about penalty rates or the right to strike. More stridently supporting the low paid Australian envelope workers’ strike in Preston could have demonstrated The Greens’ support for working class interests. When the workers were ordered back to work, despite jumping through all the hoops for legal strike action, speaking out in support of their right to strike could have exposed Labor’s limited promises to “Change the Rules”. The internal Greens accusations of “bullying” against Bhathal did her no favours. There have been longstanding tensions in the Darebin branch of The Greens. However sabotage was not the main reason for the loss, and Di Natale’s threats to expel those responsible is a cover for his own failure. The result, hard on the heels of a disappointing showing in the Tasmanian elections, leaves Di Natale’s grand electoral strategy in tatters. Batman was supposed to be the next step in his plan to take the party to 20 seats, and his ambition of playing a balance-of-power role in federal government. But Labor has now consolidated its hold on Batman. Di Natale’s shift to the right has seen The Greens move away from building social movements in favour of single-minded electoralism and cutting parliamentary deals. The left can have much more impact on politics if it puts building movements outside parliament at the centre of its political vision. Whilst a win for Bhathal would have boosted the refugee movement, Kearney was forced to shift as the campaign progressed and Bhathal pushed the demand to bring the refugees on Manus and Nauru here. Kearney went from telling the Herald-Sun that Labor’s policy of supporting offshore detention is, “a reality I accept”, to running advertisements saying she would be, “a voice for refugees inside Labor”. At one candidates’ forum she played up her role mobilising people for the “Let Them Stay” campaign. No doubt some refugee supporters voted for her on that basis. But Kearney wouldn’t repeat the public calls to “Bring Them Here” she had made as ACTU President. If Kearney is going to be an effective voice for refugees, she will have to break with Shorten and speak out publicly as an MP. She needs to be willing to cross the floor to vote with The Greens to close Manus and Nauru. This kind of action, rather than quiet arguments in ALP meetings, can give voice to the refugee movement and provide parliamentary pressure that can help shift Labor’s position. Ultimately building the refugee movement in the unions and on the streets is what can end the horror of Manus and Nauru. The movement will be stronger with the active support of both Labor and Greens supporters. At a refugee rally during the campaign in Batman, Aziz, speaking from Manus Island, drew a large cheer when he called on Labor and The Greens to work together to fight the Coalition and end offshore processing. If The Greens are going to be an effective force for change they need to take a clearer left-wing stand, and break with electoralism, in favour of building the movements outside of parliament. The fight for the soul of The Greens-what’s happening in NSW?